It was nice timing that Michael Robinson happened to bring up at his blog the relationship between Biblical and physical (i.e. “biological” to be somewhat anachronistic) accounts of human history and race. I’ve just been going over Martin Rudwick’s fantastic Bursting the Limits of Time (2005), and had decided to write a post on Jean-André de Luc (1727-1817), a devoutly Christian natural philosopher of the Earth’s history, and coiner of the term “geology”. De Luc came from a family of Genevan clock-makers, and had a background in precision engineering. He was well-known for his design of a portable barometer, and established his reputation as an authority on meteorology. In 1773 he moved to England, where he resided for the rest of his life, and became a Fellow of the Royal Society and a “reader” (i.e. mentor) for Queen Charlotte, the wife of King George III. In the mid-to-late eighteenth century, the discipline now understood as geology was comprised of a variety of natural historical and natural philosophical fields of study: mineralogy, physical geography, geognosy (the study of the contents of the earth, related to mining), and the “physics” of the earth (which dealt with qualitative discussions of the earth’s mechanisms). 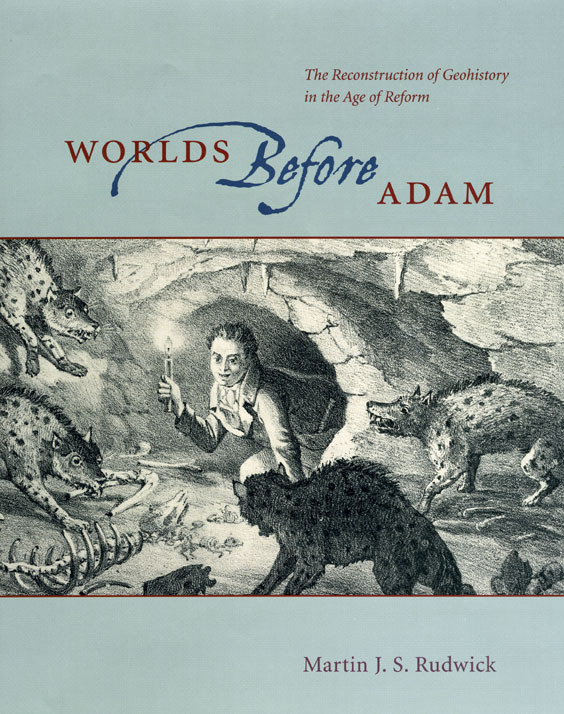 An important intellectual activity in this period was the construction of vast logical “systems” that connected causal and historical explanations to account for observations, thereby establishing a potential comprehensive “theory of the Earth”. It was to describe this last activity that de Luc deployed the term “geology”, to distinguish it from more expansive cosmologies, which attempted to account for the workings of the entire universe. Posted by Christopher Donohue in EWP Book Club.